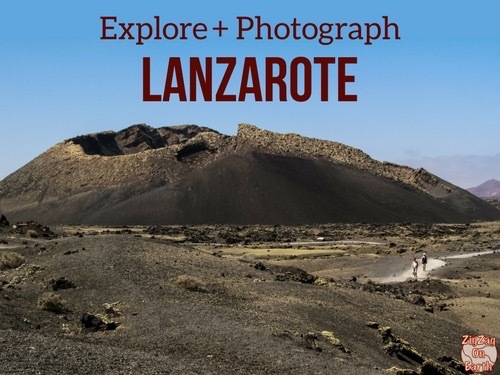 Want to make the best of your trip to Lanzarote? Do you want the planning of your road trip to be simpler, more visual and exciting? A selection of the most scenic locations in Lanzarote? Inspiring large photos to help you decide if you want to stop at those locations? Useful Maps identifying them to easily plan your itinerary? Practical information to make the most of your time? GPS coordinates to the carparks to avoid wasting time? Best time and angles to photograph them? Then, you have found the right Travel Guide for You! ZERO advertisement! The whole guide has been written independently. Right after purchase you can download the eBook in PDF format. So excited to find something so useful compared to the other books I’ve purchased! Fantastic! It is very user-friendly and doesn’t bombard the reader with useless information that other guides usually have. [...] This guide is an easily scrollable format and the photos help catch the reader’s attention. I feel that now with the internet this is the most important quality in a travel guide. You nailed it. Some of the information contained in the eBook can be found across the many posts on this website - However the eBook is a more practical way to keep the information and it contains maps that are unique to this guide and GPS coordinates to help you plan and navigate. Get it instantly and start planning! Easy. Click on the the Buy it Now button, enter your information and pay. A window will open right away to download the book in PDF format. You will also receive an email with the link to download should you wish to download it later or on several of your devices. If you have any question, please use the contact form on the About page. I want to download on multiple devices. How can I do it? I have not received my receipt email. What happened? I downloaded the eBook on my iPad and can't find it anywhere. Where did it go? Thanks and Enjoy your trip to LANZAROTE!